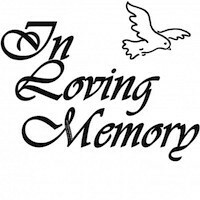 In Loving memory of Linda McGarvey, aged 44, Daughter of Sheila Nee O’Donnell of Loughanauran Annargy and Hugh McGarvey of Gweedore, who peacefully passed away on Thursday the 24th of November. Her funeral will take place on Monday 28th at 11 am in Annargy. Heaven and Donegal have a new Angel. From her loving niece and Godchild, Danielle in Australia. Linda and our family will take so much pride and comfort in the fact that her spirit has circled the globe. * donegaldaily.com welcomes notices, obituaries and tributes. We do not charge for this service.